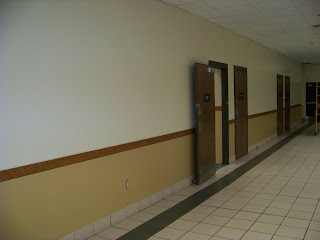 The hallway wall just outside the ballroom (an area we refer to as the prefunction) also was completed today. This new scheme provides a much warmer welcome to the NEW Great Lakes Ballroom than before. Will be putting the finishing touches on the Erie room tomorrow and getting ready for the Mothers Day Grand Buffet on Sunday. Then beginning monday the restaurant will be closed for two weeks as we move into phase two of this project. View other excellent hotels in the Twin Ports!